According an an American Family Association blog post: Christian university warned about caving to the H-agenda. The anti-LGBT hate group should come right out with the Homosexual Agenda™. After all that is the official name for things that religious conservatives disapprove of due to sexual orientation. A Christian apologist is rebuking an evangelical college for making changes to its student code of conduct, which now allows LGBT relationships on campus. Despite the reported change, Azusa Pacific University (APU)claims that the biblical principles of human sexuality remain a cornerstone of the school – adhering to the belief that "sexual union is intended by God to take place only within the marriage covenant between a man and a woman." There we go. There it is in full and the dreaded Homosexual Agenda™ is personified. Acquiescence probably means that the university realized that the same percentage of Christians are gay as the general population. AFA fails to realize that the university is providing a clear example of the difference between holding certain beliefs in contrast to imposing those beliefs on others. If approval of marriage equality is a bona fide indicator then most Christians (including clerics) believe that a gay person can be a good Christian. 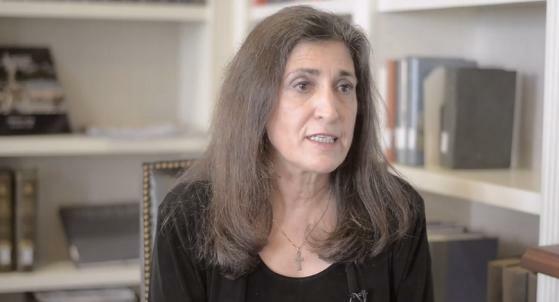 "It is sad to see that yet another once-great institution has fallen, and yet another standard for Christianity and moral truth has caved in to really the bullying tactics of the gay movement," the outspoken Christian leader argued. McFarland – host of American Family Radio’s (AFR) Exploring the Word program – gave a sober warning to the trustees and administration of APU. "They need to remember that they will face Jesus Christ one day, and all of the political correctness in the world will not be worth the betrayal of the Savior – whom they will one day face,” the renowned author contended. “And I just pray to God that other Christian schools don't show such cowardice and unbelief as Azusa Pacific now has." You know, if some of these people really do face Jesus Christ one day, he is going to be very pissed off by the bigotry and intolerance. 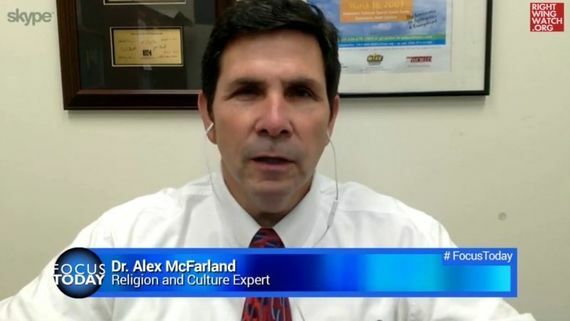 McFarland authored a book about the ten most common objections to Christianity. Self-righteous egoists is in there somewhere.